Zack Mesker a brother, son and friend has been shot last night in the biggest massacre in United States history. While attending the country concert in Las Vegas. Zack and his girlfriend were fleeing the scene when he had been shot in the pelvis. 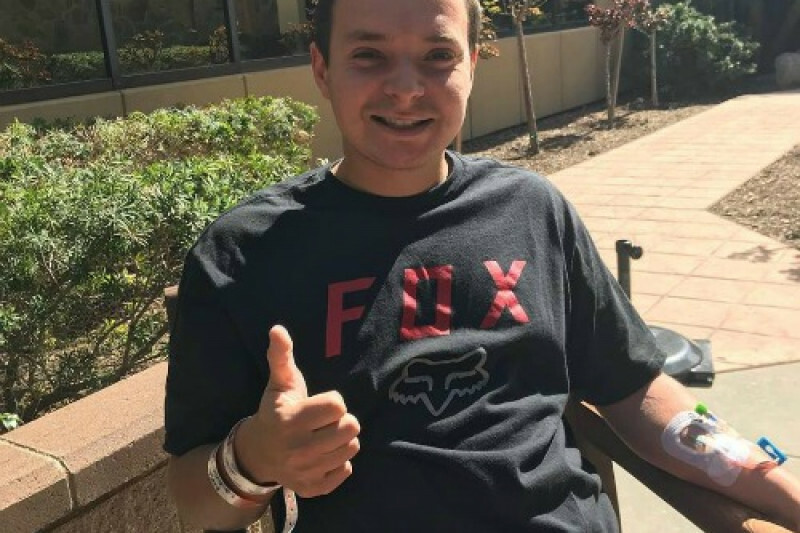 Zack is currently in the ICU and has a long road ahead of him. His injury’s are internal as well as external. Zack and his family need to pay unexpected medical expenses and recovery rehab. Zack is my childhood friend as well as my neighbor. His family is my second family and they are in a time of need. All proceeds will be going to zacks mother Lorianne Mesker and the Mesker family. I will be updating as much as I can on Zack’s condition. Please any amount helps! It's been months since the horrific event in Las Vegas. The Mesker Family would like to thank you again for all the support for Zack and the family. On Thursday Zack went in for his third surgery for his Colostomy reversal and that's the reason for the smile! Way more painful then he anticipated and so far hasn't had any food since Wednesday and it is now Saturday night. He is in great spirits but trying to brib anyone he can to bring him food but the doctor said that would mess him up. Too big a price to pay. So for now liquid diet but can have hard candy! Thank you everyone for bringing them this far. Your thoughts and prayers have meant everything!! Please keep sharing with your friends and family. 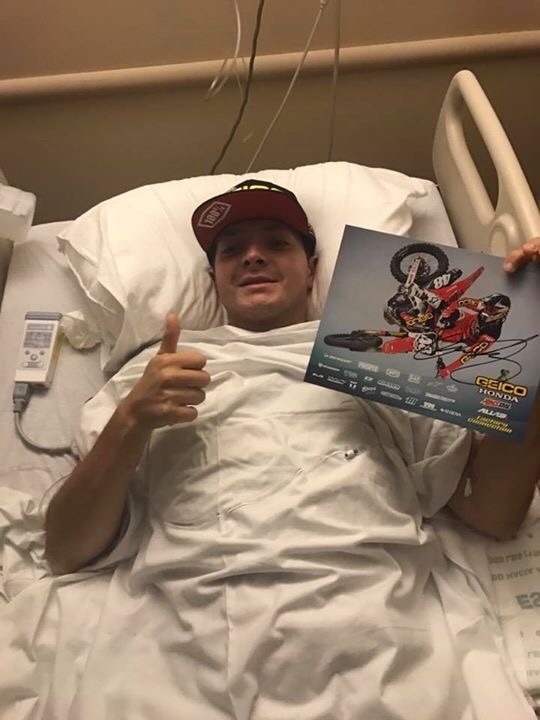 Zack has a long road of recovery and will be healing for a couple more months from this surgery. Donations are still greatly appreciated. Thanks to so many for the powerful prayers and wonderful good wishes. Zack was released last Tuesday to come home. He will be undergoing a future surgery, has some intense nerve pain, and will be doing outpatient physical therapy. 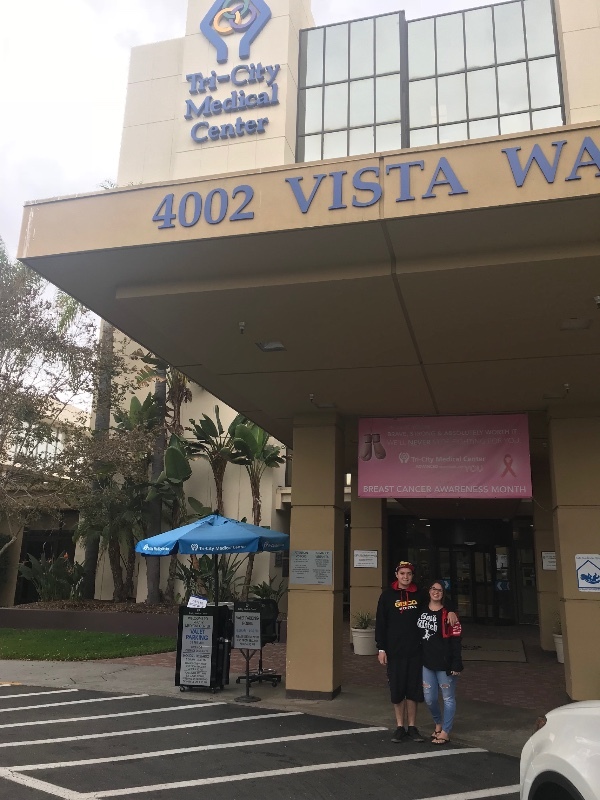 It’s going to be a journey, but Zack and Lauren are so happy to be out of the hospital! Please continue to keep Zack and Lauren in your prayers as they try to heal the physical and emotional damages. Lauren (Zacks girlfriend) has not left Zacks side since that very night. Her love and the love of his friends who have been by Zacks side truly is what kept his spirits high and pushed him to keep healing. I thank all family and friends that have reached out to Zack with words of encouragement. Keep sharing Zacks story. MESKER STRONG! 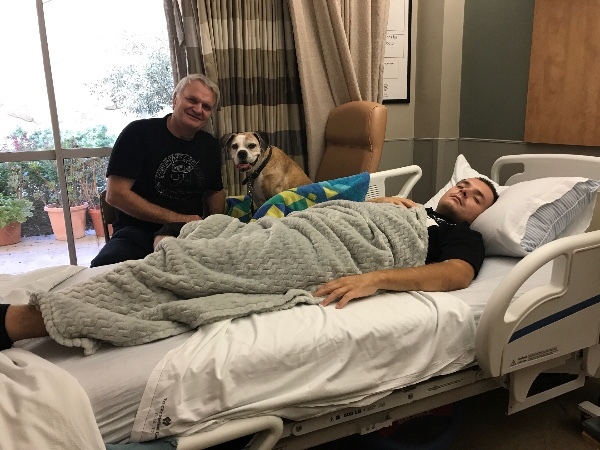 Last Sunday Zack was transferred to Tri-city Hosptial here in San Diego! We are so happy to have him back! Zack is making great strides at Tri-City rehab. He has four hours of therapy a day. Both physical rehab and occupational therapy. Is on a regular diet which is wonderful! Zack is so happy about that. The wound care is going great. He has a wound-vac that attaches to his bullett removal area and should heal the wound 60% faster. Everyone that has seen Zack while here at Tri-City has been awesome! Please keep sharing Zacks story. He will be in rehab for a while. Zack and his family appreciate all the love and support! Jay, Zacks dad and his family dog Miley! Zack has had a busy week. 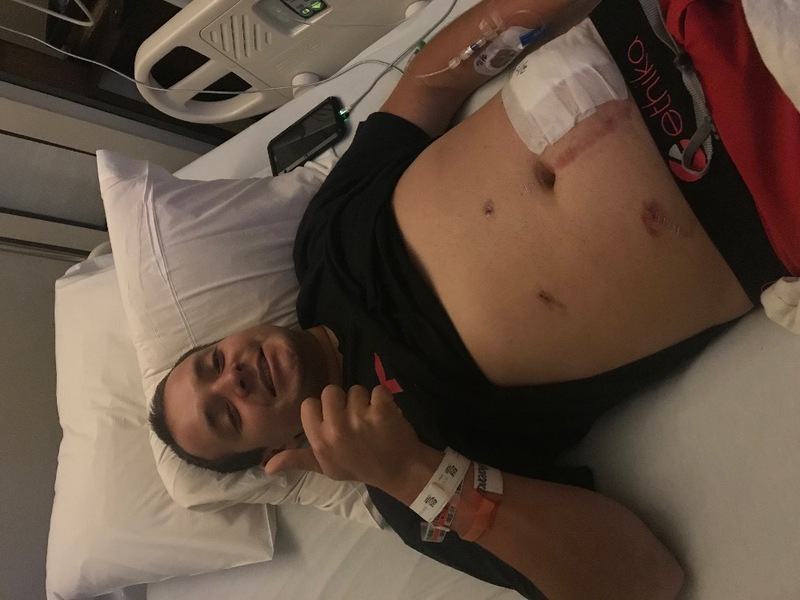 On Sunday he had surgery to get the bullet removed from his leg. Every day is different for Zack but he is keeping his spirits high. He has been doing very well with all of his physical therapy but they are still trying to keep his pain levels down. Zack is still battling an infection and is still taking antibiotics to hopefully clear the infections. Slowly but surely things are getting there. I know the news of this tragedy is getting lost in current events that have been happening but in Zacks life and his loved ones lives this tragedy is something they have to relive everyday. I encourage you to please still spread the word about Zacks go fund me. Like I’ve said he has a long road ahead of him and he is a fighter!